When was the last time you simply…unplugged? The truth is, many of us find this to be next to impossible – what with the endless stream of buzzing technology and bustling schedules. The idea of powering down our phones and computers to practice uninterrupted presence is, well, foreign. Not only that, but this act of untethering may even spark a pesky dose of anxiety for some of us. The thought of eliminating all contact with the outside world? Panic is sure to follow. Yet, as it turns out, that’s exactly what most of us need. 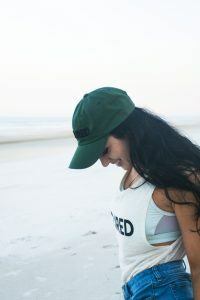 CURED Nutrition thrives because of its strong collective of social media enthusiasts, but that doesn’t mean these CBD forerunners are blind to the effects of relentless mental and emotional stimulation. When the Colorado-based company needs a break, many of its team members scoot away to quieter destinations for a sweet reprieve. In fact, a brief digital detox has become a staple in each of their routines, with CEO Joseph Sheehey being the greatest proponent for these weekly asylums. The world around us can morph into a blur as our attention hones in on a never-ending barrage of likes, notifications, emails, and conference calls. With this uninterrupted white noise lasting for days, weeks, or even months at a time, we quickly lose ourselves in a social pandemonium; or at least the parts of ourselves that bleed vibrant authenticity and vitality. Have you ever caught yourself mindlessly scrolling through strangers’ feeds, on the precipice of a major hypothetical dual because the comparison trap you’ve stumbled into is so loud? Most everyone has. Think about what you’ve noticed manifesting in your body during these episodes. The tension in your chest, the tightening across your shoulder blades, and the deepening pit in your stomach. Not only can our glowing phone screens contribute to significant physical distress, but to troublesome emotional consequences as well. Excessive attachment to our nagging notification headlines can distance us from our truest selves, create rifts in our relationships, and trigger the onset of anxiety. One guaranteed way to breach the waves of technological automaticity and over-consumption is to return to the earth. Understanding this as a lasting truism, near and dear to the hearts of each CURED developer is a lust for outdoor pursuits. In a world that tends to glamorize busyness, the importance (and tremendous power) of spending quality time in nature is often forgotten. It’s time for this – and for society as a whole – to shift. One message that CURED Nutrition hopes to deliver is that we must learn to disconnect to reconnect. That’s right, your greatest healing will be found when you break away from the internet. Go Ahead, Kick Off Your Shoes And Stay A While. It takes nothing more than a brief glance at the CURED Instagram page to catch a clear glimpse of their philosophy. There are few things as grounding as a retreat into the Colorado mountains; but mile stretches of palm trees and sandy bums are certainly on the list. Taking its passionate love for mindful living across the globe, CURED Nutrition leaves in its wake a call to reexamine your approach to life. After all, human beings are meant for so much more than merely existing. Introducing new ways for its consumers and growing family to thrive, CURED has initiated a movement. 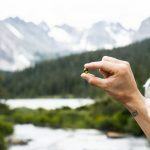 More than humble mountain living and (admittedly addicting) CBD Dough, this company encourages a lifestyle transformation. When the world is forcing you to do more, do less. When it is asking you to move faster, slow down. When it is demanding you to live louder, soften. When it is doing just a bit too much of all of the above, take a few doses of CBD. CURED Nutrition is assuring you, it is time to finally give yourself a break. Whether you’re hiking through thick forests of trees, dipping your toes into tide pools, or simply walking through the neighborhood gardens – a digital detox is calling your name. 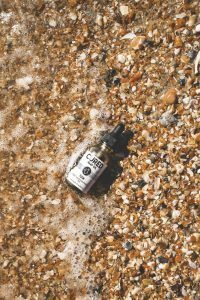 When you do find yourself bravely hopping off the grid, bring along a bottle of CURED Full Spectrum Raw Oil to assist the dive into your own consciousness. With CBD possessing the potential to reduce the same clouds of anxiety that phone use has the tendency to create, you won’t be disappointed. 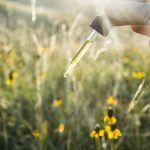 Does the Raw Full Spectrum Hemp Oil help with joint pain ? All the reviews seem to point more to anxiety. Thank you for any information you might have.